Startup theme is an ultimate tool to kickstart your project, either a software development company, or a product startup or any new business. Startup Company theme has all the needed functionality � powerful cut�om portfolio options to showcase your technology projects, Events functionality for business events, blog with lots of options so that you could blog about technology innovations and business ideas. 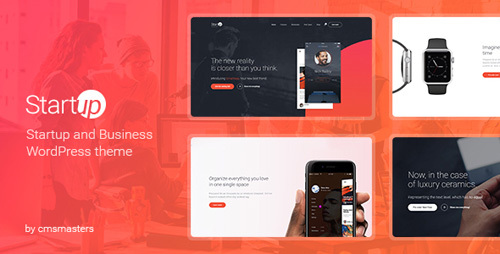 Startup is a theme for all sorts of innovative companies and startups � breakthrough design and top-notch functionality will make your startup successful from the very first day!